Looking to add a modern touch to your home interior? Introducing the newest addition to our collection of dining tables, this beautiful Talladega Glass Dining Table has a simplistic yet powerful design that will illuminate through your interior. 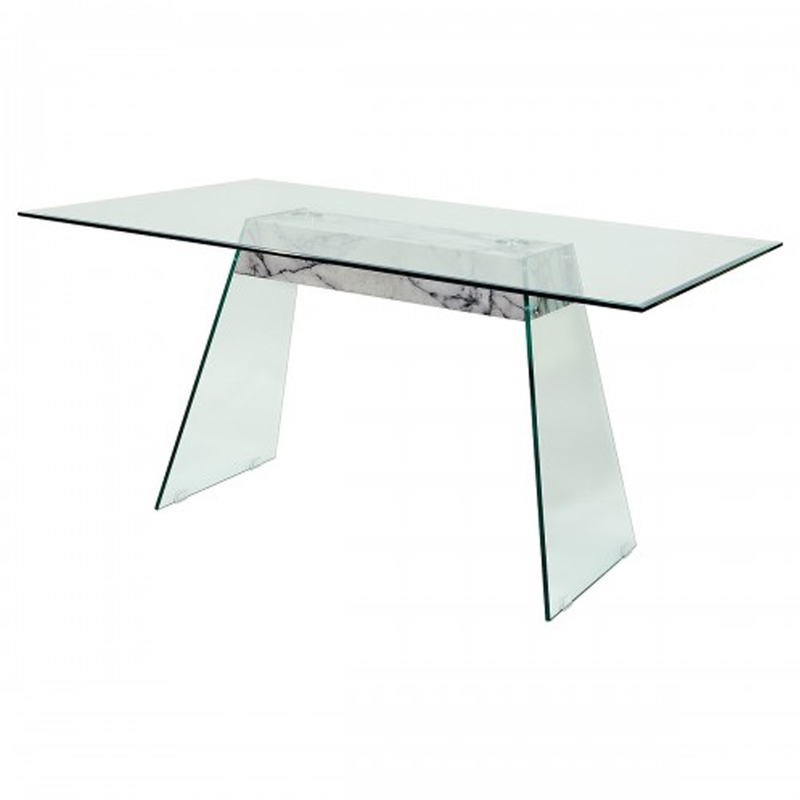 With a clear glass table top and base it also features a marble style wooden support.